The dynamic legend and the most watched series in Hollywood X-Men. If you want to get rid of the entire old styled outfit and can’t find any new master piece then we can help you out. 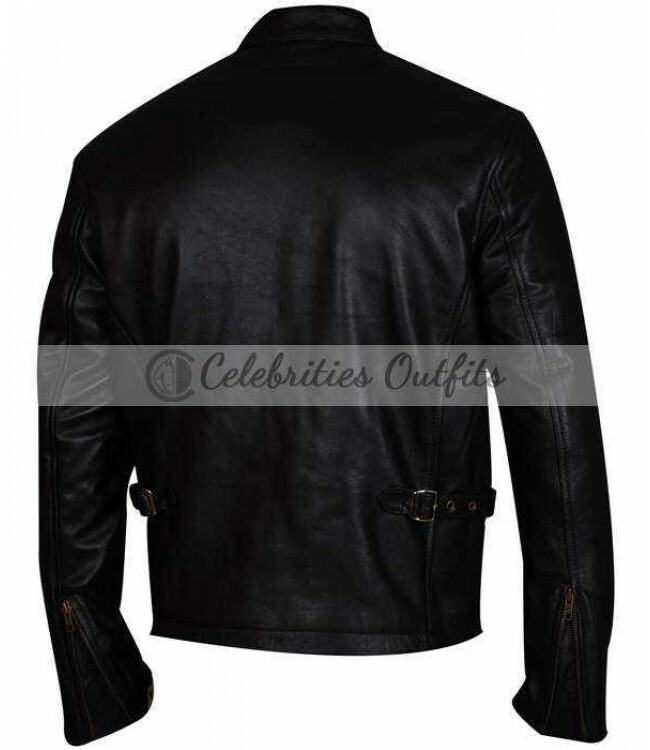 The X-Men Scott Summers Cyclops Biker Leather Jacket, unique and decent styled outfit is presented here now at Celebrities Outfits. This will not only make you out of the crowd but also dashing and amazing. You can add style in your life, which every person wants to just like every single guy want to be praised by anyone. 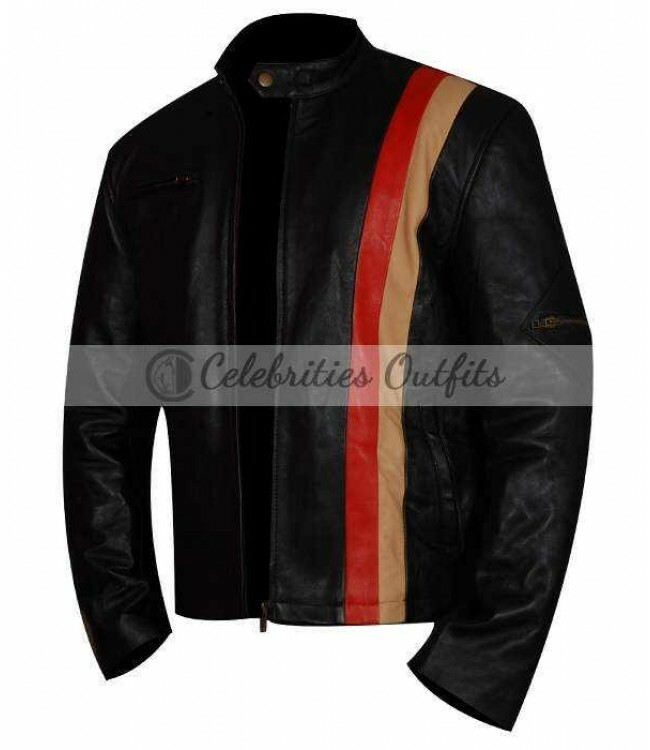 Black is its base color; you will find sharp orange and red urban styled stripes on the left of it, pockets on sleeves as well and front zipped closure, high quality material and very finely stitched. We guarantee you, you will find positive comments from your gathering people as we are sure about our product, All you have to do is to place your order now on just one click!